The concise story of the Barehotelier Belize posts with additional stories and insights. 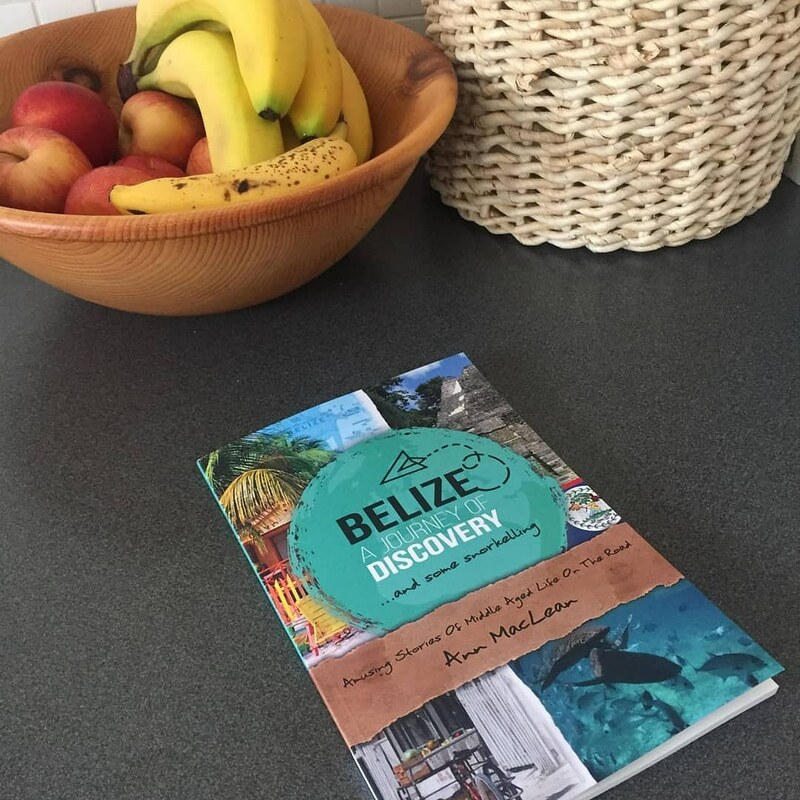 An amusing two hour read, Belize, A Journey Of Discovery, And Some Snorkeling is now available in paperback and eBook versions on Amazon in most countries, worldwide…. When your world has come crashing down and lies in shattered ruins, what do you do? Well, if you are Ann, a 57-year-old novice snorkeler and rusty backpacker, you go back-packing through Belize, of course! Join her as she sets off on her hilarious back-packing adventures of discovery from the Caribbean cayes to the deep jungles of the colourful and fascinating Central American country, Belize, via the urban jungle of Downtown Houston. It all begins on her 57th birthday. Waking from yet another wine induced sleep, she is in despair as she contemplates her empty and futile life. Follow her journey of discovery as she launches her Barehotelier travel blog, experiences hosteling after thirty-five years, is stalked by urban wolves in Houston, spends the night with a group of cheerleaders and learns about the Superbowl. She discovers the warmth and generosity of the gentle Belizean people as she swims with sharks, sleeps in a wooden shed with a tin roof, freezes with fear at the top of a Maya Ruin, avoids swallowing howler monkey droppings and goes in pursuit of Monkey River Town…. The concise story of the Barehotelier Belize posts with additional stories and insights. An amusing two hour read, Belize, A Journey Of Discovery, And Some Snorkeling is now available in paperback and eBook versions on Amazon in most countries, worldwide. Having recently read your book on your Belize adventure, I had already commented on Facebook. But I’m following up now on your blog page. For those of us of a certain age, traveling the world (almost) alone presents a few challenges and I am interested in learning your thoughts and experiences.